It has been a few Months and only a few Members have achieved this Award. The latest achiever of this Award is our very own Award Committee Member Mr. John Bowman. For all the new Members that have joined since May 8, 2010. With the help of Kate Tarasenko of INACHI, a short Biography was put together to share with new Members as well as the many that knew Gerry Beaumont and what he stood for. This Award was enacted by the Awards Committee to pay tribute to a man with his love for Education and will forever be missed by many. 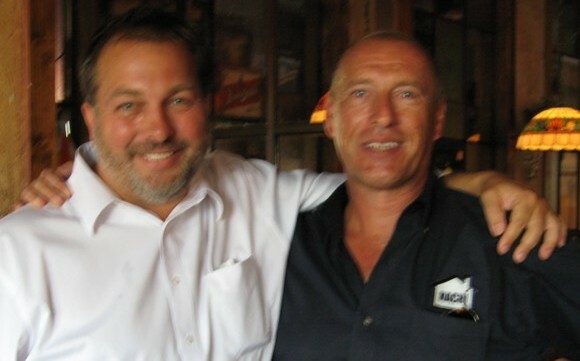 Gerry, a Certified Master Inspector, was founding chairman, director and member of InterNACHI’s Education Committee. 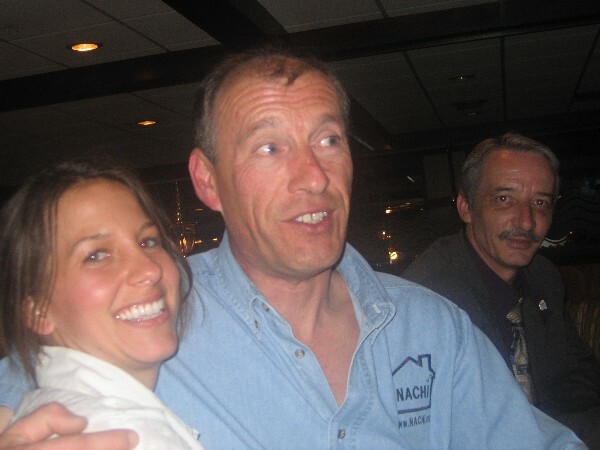 He was author and trainer for several InterNACHI Continuing Education courses, including our very first course -- InterNACHI's Residential Standards of Practice -- as well as our first electrical course and our roof inspection course. He contributed to several other inspection training courses, including our updated residential electrical course, the hard-copy version of which has just been ordered for a second printing. A native of Great Britain, Gerry came to the United States in 1995. After initially settling in Massachusetts, Gerry opened a remodeling company, and also taught an eight-subject, 144-hour home inspection course from 2000 to 2004 at Northern Essex Community College. Gerry became a manager for DuPont, and then ran Encoga Management, a multi-faceted property management company in charge of rentals, maintenance, remodeling and landscaping. He eventually moved his family to Florida, where he ran his own inspection firm, Gerry Beaumont Consulting, specializing in both residential and commercial property inspections, as well as educational and training services, and business consulting. 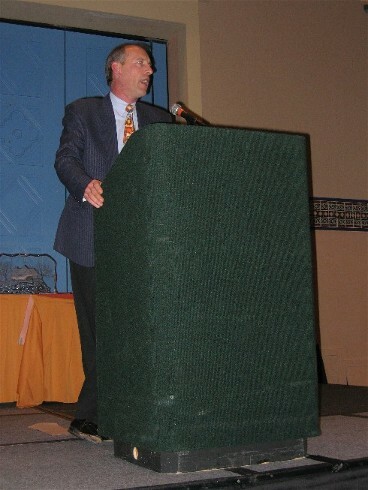 Through the educational offerings at InterNACHI's 2005 convention, Gerry was able to provide InterNACHI members and fellow inspectors in our industry with more than 5,000 credit hours of Continuing Education at a cost to InterNACHI of less than $2 per credit hour. A month after the Florida convention, in February 2005, Gerry, along with InterNACHI's Director of Information Technology, Chris Morrell, launched InterNACHI's online education, beginning with its Standards of Practice. At the time, Gerry said, "Chris and I looked long and hard at using proprietary software to complete this project, but felt that we could develop a system that would better suit our members and the home inspection industry if we built it ourselves." The online system Chris and Gerry developed set the standard as the leader in online inspection education that has sparked the interest of online educators even outside the inspection industry, as evidenced by frequent inquiries to InterNACHI. Gerry gives Inspector Quarterly's Cory Doane a hug, while Ohio InterNACHI State Chapter President Jeff Judy waits patiently for his, at the Ohio State Chapter Meeting in April 2005. Nick and Gerry's goal of providing clear, accurate and useful training and education for home inspectors has grown in just five short years to dozens of InterNACHI online inspection courses -- most of them free -- filled with hundreds of informational slides and accompanying graphics, quizzes and final exams. The courses continue to secure Continuing Education accreditations from state-certifying boards throughout the country almost daily. Gerry's dream and drive continue to live on in what make up the central core of InterNACHI: education, mentoring and fellowship. In the aftermath of Hurricane Katrina, Gerry helped spearhead training efforts for inspectors who would deploy to the Gulf Coast region to assess damage and perform insurance inspections. We could always count on Gerry to take the reins in a time of need. The InterNACHI Gerry Beaumont Education Award is given out annually to a deserving member who successfully completes 50 Continuing Education credit hours within one year. The award is named for Gerry Beaumont, Certified Master Inspector® and founding chairman and director of InterNACHI’s Education Committee, who passed away unexpectedly in May 2010. A native of Great Britain, Gerry owned a remodeling company and immigrated to the U.S. and settled in Massachusetts in 1995. He owned a property management company and also taught an eight-subject, 144-hour home inspection course at a local community college for four years. He eventually moved to Florida with his wife and two children, where he ran his own inspection firm, specializing in both residential and commercial property inspections, as well as educational and training services, in addition to business consulting. Gerry’s involvement with InterNACHI began and ended with inspector education. 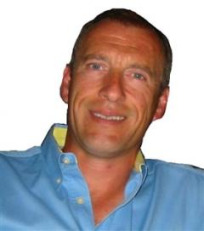 With Founder Nick Gromicko’s support and IT Director Chris Morrell’s expertise, he helped design the proprietary online course and testing system for which InterNACHI is famous both within and beyond the inspection industry. He authored our first courses, including the Residential Standards of Practice, and the roof and electrical inspection courses. Gerry’s dream and drive continue to live on in what make up the central core of InterNACHI: education, mentoring and fellowship. His enduring contribution is in evidence through InterNACHI’s dozens of inspection courses, which provide clear, accurate and useful training and education, and have earned more than 1,000 accreditation's, and are taken by thousands of home inspectors worldwide every day. We will continue to accept Nominations for this Certificate Award for 2012 to the first of May which is the Anniversary of Gerry's Departure. Join in and take advantage of all the free Education Inachi provides to the Members. Let us all do something in education that would make Gerry Beaumont proud of us all.